- Here we go again - Donna's trademark jewelry look! 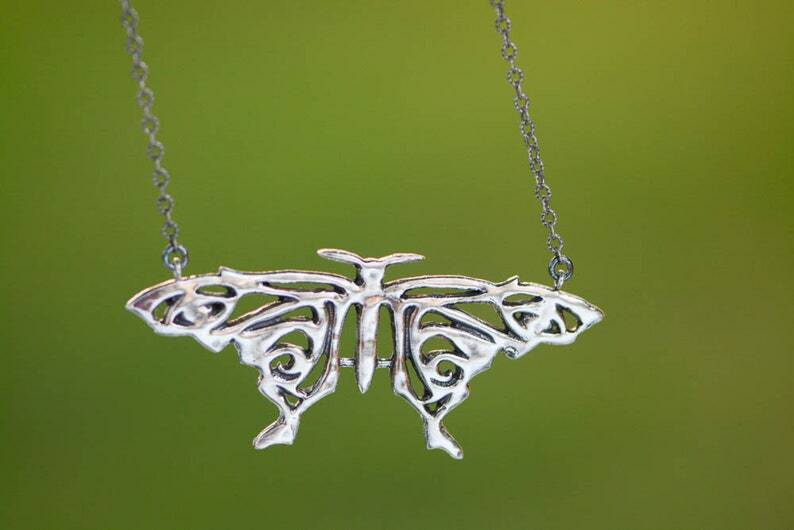 Each pendant is handcrafted in Sterling silver .925 and might be a little different from one another. The pendant comes on a sterling silver oxidize chain. A wonderful necklace, a wonderful shop! Ich bin total happy mit meiner neuen Kette, sie ist wunderschön gearbeitet und wurde auch sofort nach Bezahlung verschickt. Ich bestelle bald wieder bei Liad, sie ist eine tolle Künstlerin! Absolutely gorgeous--stunned by the detail and so excited to wear this everywhere! Shipped incredibly fast.